Stade Louis II will host Tuesday’s football game between Monaco and Atletico Madrid. Monaco experienced all sorts of problems in the Champions League group stages last term, with the team picking up only two points from possible 18 in the process. 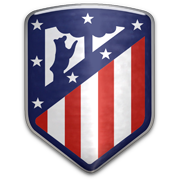 Les Rouges et Blancs are no longer sharp as they used to be a couple of seasons ago and it is no surprise they are seen as underdogs in Tuesday’s football match against Atletico Madrid. Los Rojiblancos have the biggest possible ambitions for the 2018/2019 Champions League campaign as the club chiefs were very active in the summer transfer window. Antoine Griezmann, who impressed at the 2018 FIFA World Cup finals, is likely to pose a big threat for the opposition defenders and we predict that he is going to lead the visitors to the triumph against Monaco in their Champions League opener.